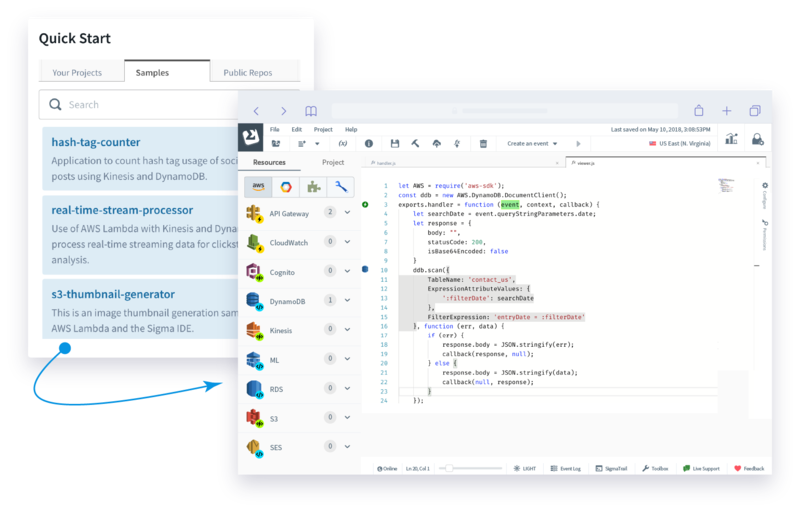 Sigma is a serverless application developer tool; a cloud IDE, which helps you rapidly build, test and deploy serverless applications. Drag-n-drop composition with full power of written code. 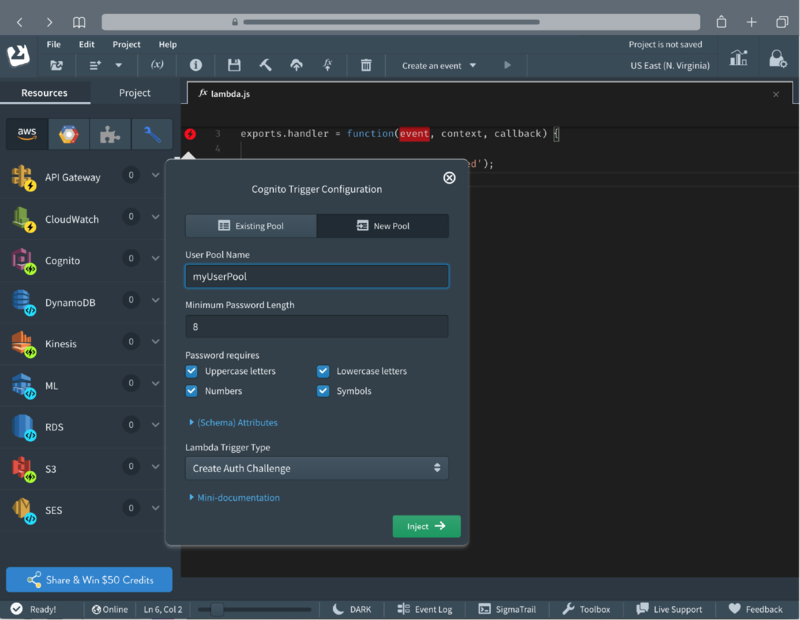 Drag-n-drop service entities and function triggers right into your code, and let Sigma take care of the configuration and integration burden for you. A fairly simple, intuitive environment, with easy, drag-and-drop composition combined with the full power of written code. 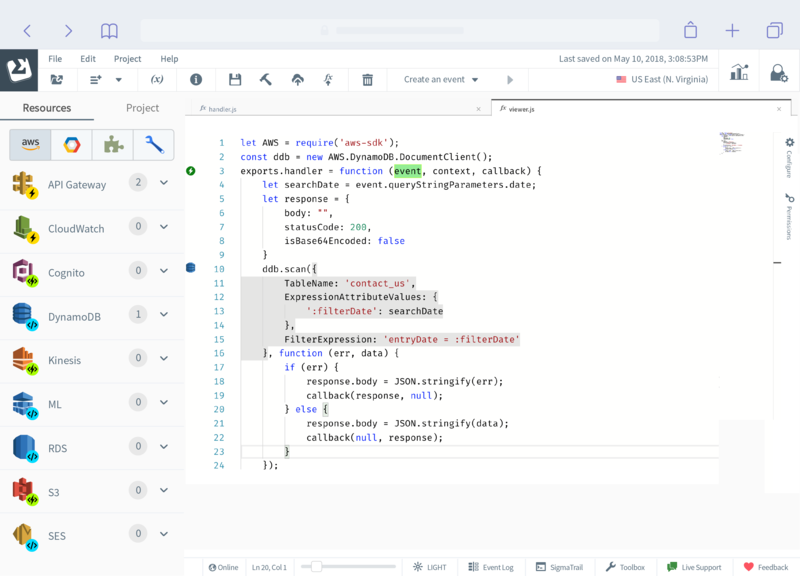 Powered by Monaco Editor, Sigma IDE provides autocompletion, with context-aware intelligent code completion, speeding up coding and reducing typos and other common mistakes. Whether you are inside the editor or a service UI popup, Sigma will guide you with autocompletion. 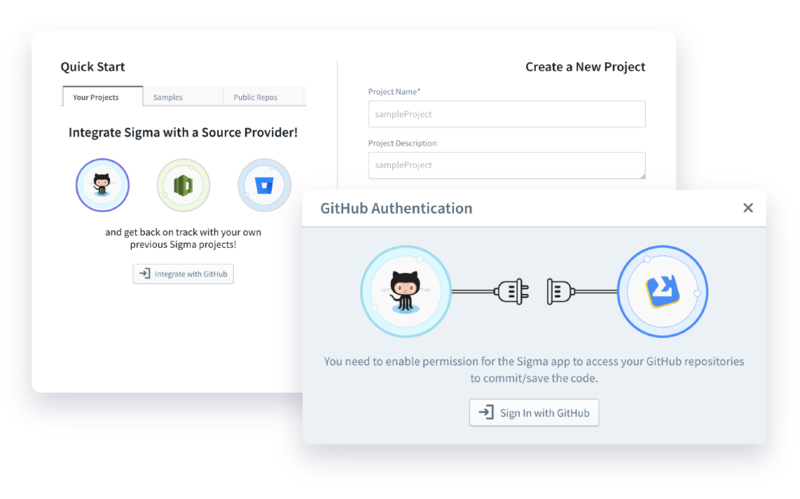 Sigma directly interacts with and configures the serverless platform on your behalf, using the credentials that you provide, saving hours of configuration and troubleshooting time. Artifacts get deployed directly into your AWS account, and will only incur charges based on actual sub-second level metering based only on usage. In addition, changes performed over time, such as artifact undeployment is simplified, as the editor manages and cleans up resources from across AWS. Sigma keeps track of entity usage in your project, automatically cleaning up unused ones, saving you the trouble. Kick start with inbuilt samples. Start with the samples illustrating the simplicity of usage, or checkout the showcase applications: SLAppBooks, which demonstrate that traditional server based applications and witness the paradigm shift faced by traditional server-based applications with the oncoming serverless disruption! Save your code in the cloud. Save and manage your code with your favorite vcs platform. Now supporting integration with GitHub. Support for BitBucket and CodeCommit will be available soon. Truly Serverless Platform runs completely in your browser. Sigma is not a traditional cloud IDE re-branded as a Serverless application development environment. 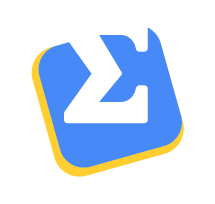 Unlike many of the existing cloud IDEs, Sigma itself is truly serverless; it runs completely inside your browser, using backend services only for user authentication and analytics, and requires no dedicated server/VM/container to be running in the background. Amazon Web Services (AWS) : now available!